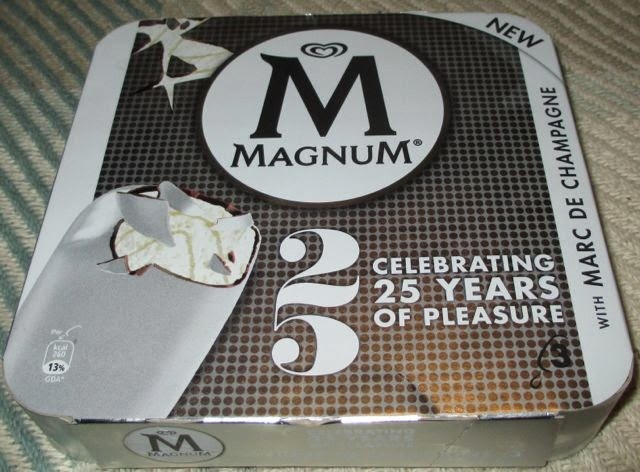 Anyway as it is Magnum’s 25 year anniversary they are going with a silver theme and have introduced their fist silver Magnum. 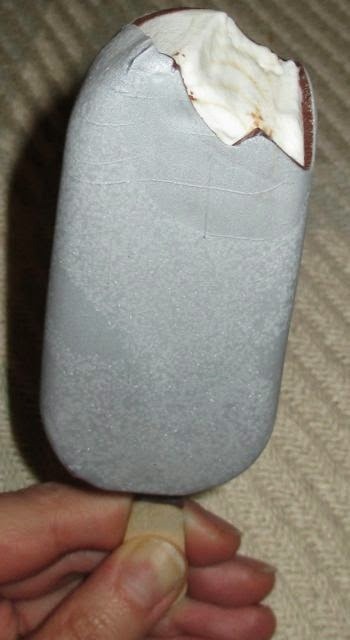 They come in a pretty silver box, but lets face it the impressive part is the silver coating on the ice lollies themselves. I know I have a thing for novelty, so yes these did make me smile when I pulled the wrapper off! They looked fab! It was more pearlescent in real life and not done justice by the camera, but you get the idea. Under the shiny coating there is a thick layer of milk chocolate that cracks when you bite in, and it reveals the pale ice cream within, with is layers of Marc De Champagne flavour. The taste is well balanced and the Marc De Champagne comes through nicely, without being overpowering. It adds a warming twist to the flavour, but still allows the creamy flavour of the ice-cream and the sweet chocolate to work their way in their too. It is nice to see something a bit different on the market, and these hit the spot for me. Yes they have a novel element but it is pulled off in a rather elegant way. The flavour was carefully chosen, and well balanced, it is something special without being to heavy. In short I loved these, they tasted perfect, indulgent and looked really smart. These are going to be my Magnum of choice for 2014, and here is to wishing them well with another 25 years of ice cream happiness.